More businesses are into stiff competition each day so business owners should think of many ways to sell their products or services to many people as much as possible. One of the better ways to reach out to more clients locally and even global is by joining or putting your website to search engines like masterseek. Masterseek is by far the largest search engine that connects supplier and buyers. You can find companies by products, companies or categories in many countries. Submitting your company to their growing business list is just for free. I haven’t been there but my bro has. It was about 3 years ago when older bro went to the US for their “Painting exhibition” at the Phil. Embassy in New York City. 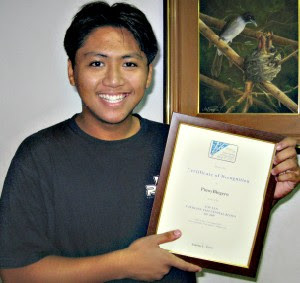 He and his co visual artists were so fortunate to be sponsored by PAL (Phil. Airlines) to go to the US. The exhibition was quite successful; he had sold almost all of his paintings. Before he came back here he was able to stay with our relatives in LA for a couple of more weeks and he and one of his friends was so lucky enough bec. my relatives toured them around LA and they even went to Las Vegas. Would you believe bro even won at the slot machine? He was so happy bec. it was his 1st time to win, I can’t remember how much it was now. He has only many good words about this big city and was overwhelmed with all that he has seen. He had some photos that he took while he was there. Unfortunately he wasn’t able to stay in one of those posh hotels like the Sahara hotel along Vegas Blvd., he should have experienced how it feels to feel like a king. Sometimes I just know if I will be glad or not because it is raining already here. If your remember we had typhoon that hits us over 2 weeks ago and that left some flooded areas esp. in low lying areas like Malabon etc. The kids had 3-day off from school and they were happy about it, but little did they know they will pay for the days they didn't go to school. Anyway, many have prayed that the storm will go away but we still complain we it started to get hot again.. lol we never really be satisfied. Everyday it will be so hot and humid then later on the rain will just pour as if it is another stormy day. After that it will become hot again so many people are sick with colds and flu, so everyone need to take care. Anyway, i'm about to close my store this minute , i just want to thank all those who visited my blog regularly and have the time also to comment or leave me a note. I appreciate all of them and THANK YOU VERY MUCH!! With our desire to increase our income in the last few years, mom decided to open another business which is the Small Party needs business. At first I was too hesitant to open it as I don’t know much about the business, I remember I was the one making the party balloons putting helium gas in it and I was just so scared. With my little knowledge on the new business, not so much enthusiasm on the business and not enough market research on my part, the business did not succeed. I am partly blamed for it because I don’t really like that business and mom just wants us to put it. We end up removing that and I concentrated on my computer business instead. The lesson I have learned is that we should not go into business when we don’t know about the product and if we will not put our hearts into it. We should do what we want and have passion for or else it will not succeed like what we did before. Don't you just hate spammers? What do you do to make both ends meet? Awww , it’s the end of the month already and what will be the next thing that will come to us in few more days? Did I hear bills? Oh yeah right, we can’t escape that for we have obligations monthly. For those working in companies and have regular salaries, sometimes their earnings are not adequate to pay the house rent, grocery and other bills. Me, eventhough I have a small computer shop here , I don’t have to pay for the rent of the place but still there are times I need to think of other means to leave more comfortably. I don’t just rely solely for the computer rentals income, so on the side I accept computer typing jobs, I make all kinds of invitations/business cards, I sell CD-R/W etc. to create more income. 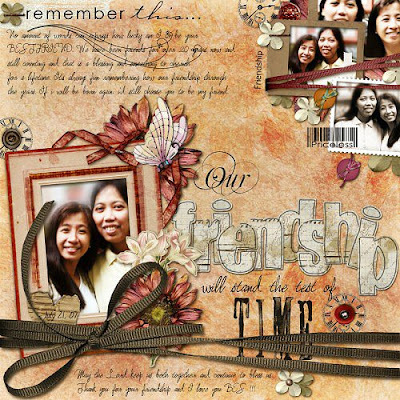 Aside from that before I used to make digital scrapbooking kits designs for the Scrapping Garden online store. At 1st it was ok but I could not keep up with the obligations so I had to resign from that. 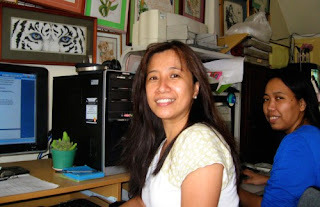 And fortunately, this paid blogging came along that was introduced by Cherry Rose, our co-Pinay digiscrapper and there I started to earn extra dollars and I am so happy about that. There are times that I have lots of opps (assignments) to write about but sometimes it was scarce. Due to that I need to find another new business opportunity that can keep generating income (I’m business minded you know). Oh before I forget I also tried to make those cute bracelets with swarovski crystals or with other beads that I bought in Divisoria and I sell these here at my store. So for those of you who are thinking of other means to generate income, you can start a small home business, be creative and sell it. Do something and find other ways. Wow, it’s been a pretty busy day for me here at my internet café, I am really tired. It’s Holiday (National Heroes Day) today so many had the time to go online. 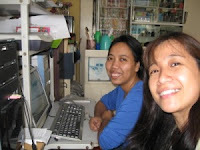 My customers are mostly female teenagers who are so addict about Friendster website. They enjoy opening their accounts and trying to take a photo of themselves through the webcam. I don’t have many computers so there are times when my customer is on waiting for their turn. It’s good that I already bought a new HP printer yesterday in Greenhills (where else?) bec. I had some printing jobs. I was also pretty busy doing some graphics layouts for a customer who is so demanding (!) and that consumed few hours of my time. Well, it’s good enough that I am busy with my work around here. Oh aside from that, I made a business card for one of my client and I really finished it asap since it will be due tomorrow morning. I was also able to update my other blog this morning and wrote few assignments for other company. I didn’t have a chance make a digiscrapping layout for today coz I don’t have enough time. It was only around 7: 10 pm that I am quite free to write this post. I am actually real tired right now, my back is aching, i’m getting hungry and I think I need a warm bath and pamper myself with dead sea salt, which is known to relieve stress and muscle ache. My eyes are also killing me; I have to partly blame myself for not goin to my eye doctor. I really planned to go there but when I see the line of clients in his office, I backed out coz I don’t want to waste my precious time waiting for 2-3 hours in line hahaha. I know one day I will find a time to sit there and wait for my turn, I just hope my eyes are not worst at that time. Oh well, I have to go now, I have only few minutes more left and I will be closing my store now. Have a great evening/day wherever you are. !!! 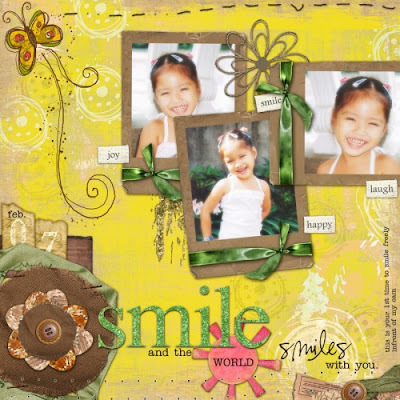 Our theme for the week at Photo Hunt is HAPPY. These are my entries and i want to be different this time. 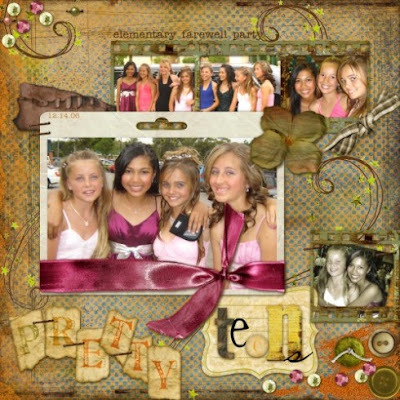 I will not only show the picture but i thought i'd digiscrap it as well and I love the way it turned out. This is me and my bestfriend Racel. We have been friends since we were in 2nd year in highschool and we are friends for over 20 years now (now you're counting our age lol). I have another entry and i took this yesterday. 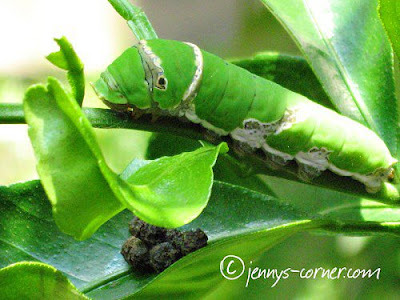 I saw about 5 these lil creatures (a caterpillar??) 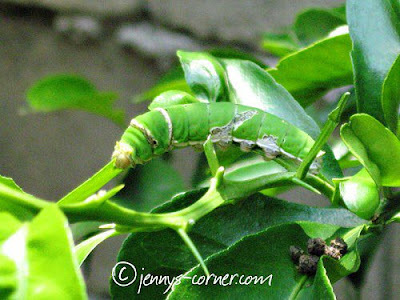 on the leaves of our calamansi tree and they are actually eating the leaves of it. I thought they are pretty up close. They are happy after eating those leaves and take a look at the small droppings (their poo-poo i believe). Hope you enjoy taking a look at my photos and happy hunting !!! Ahh he is done eating now..
Hahaha. Take a look at my niece Reign, she’s having a tantrum when her mom and I asked her to wear that animal costume that my sis Joy gave to her the last time she sent a balikbayan box. It was actually a “bunny costume” and I thought it was pretty cute on her. 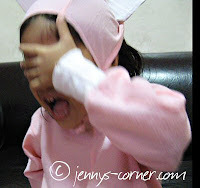 At first she liked to try it but when we teased her she’s a bunny with that big ears and small tail, she begun to cry and wa nted to remove the costume right away hahahaha. My cam is ready to take a pic of her but she end up crying. 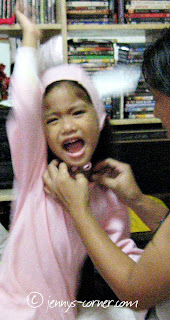 But last night, she wants to wear that costume but I was the one who forgot to bring along my cam. I guess if we are both ready I can take a good snap of her wearing that. I promised myself not to shop online again for it will become addicting but who can resist these awesome goodies from great designers. Actually i'm not a crazy shopper yet, i still can control the "check-out" button (kuripot ako eh!!!) 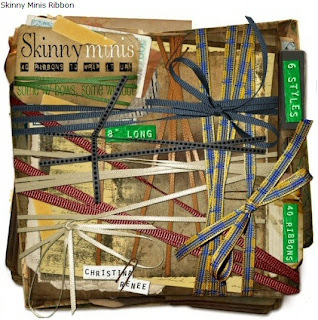 Anyway, i love the Skinny Mini Ribbons by Christina Renee so i bought it. It was at $3.99. I already bought a kit, big ribbons from her shoppe and i was satisfied with her products, in return she sent me a nice Ribboned Buttons fro FREE as a token. You will see it in my future layouts. 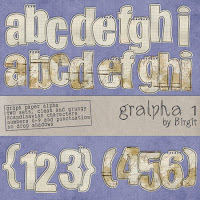 I went to Joyce's blog last night and i read that Catscrap was on sale so i hurriedly go over there to buy the Alpha that Birgit is selling. I was eyeing this alpha for long tim e now, i did not buy it bec. for me $4.00 for an alpha is already expensive lol. It was on sale for $2.40 so i grabbed it. I still have one alpha on the cart and i'll still think if i will buy it too. The SALE will be till Aug. 26, so digiscrappers buy now. Actually, i don't really spend much on digi-stuff bec. there are still lots of nice FREEBIE around. I only buy what i don't find in freebies hehehe (sadyang kuripot haha). Do you find yourself stuck with your own personal projects? 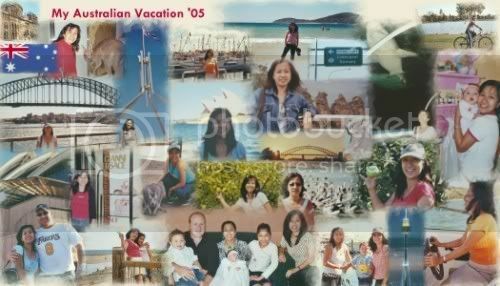 I do, I was meaning to finish making a collage of my 2006 Australian Vacation. It’s already on the 2nd quarter of the year and I haven’t started it yet. Argghh, where will I have the time for that? To think my photos are taken from a film camera so I still need to scan the photos before I can make it into a collage. To give you an idea, the picture below is the collage that I made and have it printed 8” x 14” in size and it turned out to be so nice. It includes all the highlights of my trips and it’s a good way to preserve the memories. Aside from that, way back in the early 2000, I was hooked into cross stitching; I had about over 20 stitched framed projects but left several projects on hold. I became too busy with my computer stuff so I’m not sure when will my hand hold that golden needle again. Speaking of neglected project, my bro-in-law would top the list of people who was enthusiastic in starting a project but end up being lazy in the middle of it. He was setting up a small bar at the backyard of their house but it was almost 2 years that it was left untouched. My sister Joy already complained bec. she has already bought 2 bar stools, which end up in the kitchen. Need I to say more? Their garage was a bit disorganized, he promised to put some cabinets but never made it yet.. lol..
What about you, do you have any personal projects that you have neglected? Aren’t kids lucky these days? Technology has wrapped all of us, from cellphones, ipod, computers and more. It is ever advancing. I remember when I was still a kid; plastic baby dolls (which I still keep), breakable clay pots, and paper dolls are my toys that I use to play. Hide and seek, tumbang preso, Chinese garters are some of the games we use enjoy but look at the kids now. They are very lucky to be enjoying playstation and computers as one of their means of playing. My niece Reign just recently discovered Nick Jr. online, which she enjoyed playing sometimes. It is very child friendly where there are lots of activities that she can choose. Although we allowed her to play the computer we don’t encourage her to stay there for long time, 30 mins. is enough, so she can have the taste of how is it to play in the computer. Kids are very curious and very adventurous, they want to explore on other things that interest them. She also loves playing with her dolls and she loves drawing very much, you can see her drawing at my older post HERE. While kids enjoy technology, we should still encourage them to play dolls (of course for girls), hide and seek and many other fun activities. In fact, here in the Phils. kids are encouraged to play the old games we adults use to play before like the patintero, sungka, tumbang preso and many more. Let them get dirty outside!! My Aussie bro-in-law loves to play golf. And in fact he used to play every weekend with his buddies, and he calls it a bonding time with his friends. Not so sure if he can get the ball in the hole but every time I see him, he looked like Tiger Woods wannabe. He has a complete set of Golf Equipment that he stored in his garage and oh boy it is so heavy every time I want to lift it. I’m not that fond of golf coz I reckon it’s pretty boring sport (just my opinion ok). I know it’s not a contact, fast sport but you gotta have a brain to finish it off . Have you watched “Imbestigador”, not yesterday but the other Saturday's episode when their hidden camera caught high school students smoking marijuana inside their comfort room? Isn’t’ this alarming? Teens taking drugs inside the school campus? I think the school principal and other teachers should be aware of this and be more vigilant in looking after the students who will try to do such things. It is sad for both parents and the students and I reckon if the parents already know their child’s situation they should enter them in drug rehab center that will help them. Taking the situation for granted will now solve their child’s addiction. I’m very happy that none of my relatives are into this kind of stuff. The theme for this week at PhotoHunt is TWO. Here are my entries for this blog. It's my only 2nd week as a member and i am enjoying it already. These neon colored LP is at my brother's gallery and it looks interesting so i took a photo of it. 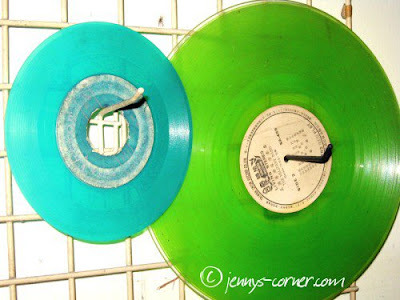 Actually he loves collecting old Long Playing albums and also sells them online. 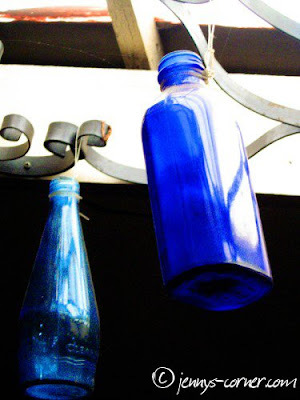 This next photo are empty bottles hanging on the ceiling at my brother's gallery. He used this as an accent for his other collections. You can join and play with us at the Photo Hunt and enjoy taking pics or digging up your pile of photos. We have different themes every week. I have different photo entry at my other blog (ants and flowers), hope you can take a look at it. I know all of us dream of someday can go visit Disneyland right? I have a lot of relatives in the US and I can’t help but envy them bec. they had the chance already to see the world famous Disneyland and had experienced staying in one of those Orlando vacation home rental for their vacation. I’m just wishing that I can experience a great vacation over in Orlando if luck is on my side. In the meantime, Hongkong Disneyland is just an hour away flight from us and I hope going there is not only in my dreams too. Have you been to Disneyland already? I know Cherry Rose just went there this year. Don’t hide deal with it. Credits, credits credits… I don’t know any person in this world who doesn’t have any credits or have not borrowed any money in their entire life. It’s part of life and there will really come a time that your finances will really be tight and you will feel like you are going insane where to get them paid. When it becomes worst, it already come to a point that where a commercial collection agency will send a collector knocking at your door and there you are hiding from it. Although it is really hard but we all just have to know how to manage our finances bef. we drown in debts. I personally know someone who got messed up with her credit card bills. It is sad but she had managed to deal with it. So next time, be smart. It was rainy yesterday morning and our weather bureau PAG-ASA predicted storm Egay will be a big one so the the Department of Education suspended classes of students (all levels) yesterday. The sad thing is that the kids were already in school when they announced the suspension around 10 am. The parents and service of the students hurriedly go to the school to pick up the kids. The rains was not so heavy at our place but there are flooded streets along the way. We have no choice but to pick up the kids at school and the kids upon learning that rejoiced to the max, lol. It was raining the whole day yesterday and at some parts in Manila many people were stranded due to heavy floods and traffic. Even our own Pres. Arroyo got caught in the middle of traffic and was an hour late for an appointment. Anyway, Dep-Ed didn't want to be ridiculed again for not suspending the classes early yesterday so they announced last night there were NO CLASSES again today (Thursday) in Metro Manila, Rizal, and some nearby provinces. They believe that there will be floods and the anticipated heavy downpour of rains again but actually there's no rain today and it was literally hot outside. 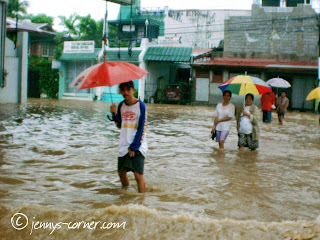 I remember storm Milenyo last year it was cold and anywhere you go there is flood so people just stayed at home. When was the last time you watched a concert, musical or play? 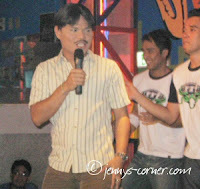 I remember watching our local artists in concert like Martin Nievera, Side-A Band, Randy Santiago, Pops Fernandez and others when they have a concert here at our place. But I haven’t watched any foreign artist in a concert yet to tell you frankly. Boring me huh? Anyway, a lot of foreign artists like Michael Jackson, Black Eyed Peas come and perform here every year and the biggest one so far this year was that of Christina Aguilera. I wish I had the time and money to buy concert tickets for me an my bestfriend Racel and I know we will have a blast. I just had the glimpse of her concert when they showed preview of it on TV and I heard she was few months pregnant when she performed here. I wish I can have the opportunity to watch foreign singers perform. Anyway, the very 1st musical that I watched was the award winning LION KING, and it was at Capitol Theater in Sydney on April 2005 where I had the chance to see it along with my bro in law and niece Micah. The show was spectacular with great lighting effects, awesome costumes and great talented performers (one is a Filipino !!). I bought some souvenirs that i brought home. I wish this is not the last musical show that I can experience. 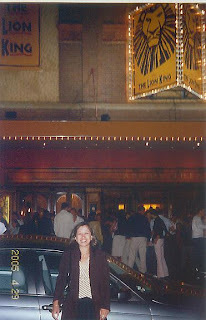 That photo is me outside the theater, i have no pics of the show itself bec. it is prohibited to take photos inside. I'm trying to get rid of Coke. Are you? Ahhhh COKE.........Who can actually resist this thirst quenching softdrink that has been part of our lives for many many years now? I will not deny that i always love to order this drink especially when i am dining out on fast foods or even in restos. Coke here, Coke there.. it's addicting isn't it??? Some have already substituted coke as their water, which i think is very very bad. They drink it every single day and every single meal 1 liter, 2 liters yikes....too much sugar. My 4 year old niece has been addicted to this drink as well (I know this is very bad!!! her mom can't keep it away from her). I even told my sis-in-law that she will definitely be acidic or will have problems in the future should she continue giving softdrinks to her. She said she will cry if she will not give her. Oh well this is another story. I myself have been trying to cut my Coke intake everytime i have snack here bec. i always feel I am bloated after drinking. I'm drinking Tropicana twister instead but I'm still researching if this is a much healthier alternative. I know water is the best but you know there are times when we crave for "flavored" drinks. I hope i can continue to get rid of this but i know this will take a lot of time and discipline on my part. 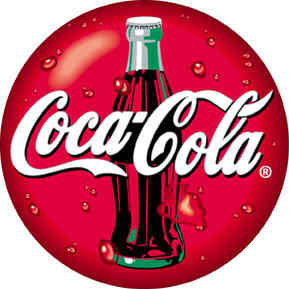 What about you, can you resist drinking Coke or any softdrinks and what can you suggest (aside from water) is the best??? My very bestfriend Racel came over to my shop on Saturday before lunch time to teach her about the "ins and out" of blogging and blogging for moolah..There are times when i scolded her (of course in my friendly way) hahaha bec. of the way her blog looks etc. etc.. Knowing that i have the lil experience in blogging she of course takes my advices hehe (she has no choice haha). Anyway, laughter and giggles are always there every time we see each other. Oops i had the same shirt when she was here last time hahaha.. I guess i need to buy more shirts next time hehe. My nephew Karlo who is the author of PINOY BLOGERO, hits the blogging world recently. He was cited as one of the TOP 10 EMERGING INFLUENTIAL BLOGS here in the Phils and he was so honored and excited to be at the Top 7. He was voted by his co-bloggers and he was so happy to know he made it since his blog is not even a year old. He was given an award by Ms. Janet Toral in Makati last week and he showed me the certificate he got. Hope you can read his blog bec. you will find it interesting. He has the passion to write articles and really good in his drawings (artists run in our family). He posts about "blogging" and more at his blog. 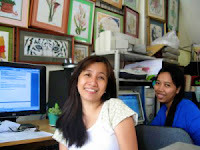 I went to Greenhills Shopping Center (yes, again... my fave place) on Sunday to buy another new HP printer. I literally went to almost all the computer shops but i end up buying none. I saw HP900 which is around Php4,000+ but it was not compatible with my Windows Vista PC. The salesman told me i can still use it but i need to download a driver at the net. I didn't bother to buy it coz i am not sure if it will really work. Anyway, i always make sure to pass around the clothes stalls of tiangges around virramall and I got myself 2 Abercrombie shirts (1 with collar) which is on sale and i got it for only P250 (around $5.00) and one white shirt for only php150. 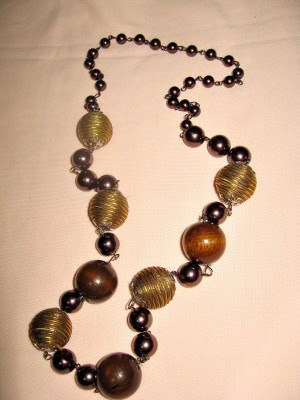 One of the popular place at Greenhills is the jewelry section where you can buy swarovski crystals, pearls, necklaces. bracelets and many more at a decent price. I actually bought myself one necklace with beads as you can see on the picture, i got it for P180, but i think it it will cost only P100 in divisoria. I thought i can use it for my plain shirts. There are many nice ones over there and a lot of bracelets. You should try to visit the place and you'll love it for sure. I saw a lots of balikbayans and foreigners buying a lot of them. I first saw these crocs slippers at Gina Miller's blog few months ago bec. she bought her kids and i thought these are cute. I have also been seeing it being sold in Greenhills but i never asked how much are those. Later Girlie made a post at her blog about it and i asked her how much it costs here. Wow she told me that it was around Php 2,000. What.... that price for a pair of plastic slippers??? I had a hard time finding the perfect background paper for this layout that i made, i think i changed it 5x and found this Miss Mint's paper close to what i have in mind. This is my niece Bianca and i miss her dearly, she is in Sydney and hopefully i will see her again next year. Anyway, i love all the elements that i put here. Hello Bebots (those here in Pinas), just in case you didn't know GLO is coming from US here this month and they are organizing another EB on August 24 (Friday). If you haven't been logging into our FORUM pls. log in now for more details. I hope those that were not able to attend last Feb's EB can come this time. See you there !! Pinoy prisoners dance the Thriller !! I just have to share this bec. it is already a hit in YouTube.. I was watching Jessica Soho's program last Saturday and this story was just so interesting. About 1,500 prisoners from Cebu Provincial danced the Thriller by Michael Jackson. Just imagine teaching the inmates to dance is a huge task and i think they did a good job ha.??. It's part of their exercise and I believe this is a good form of exercise and a way to keep them away from being bored inside. They said they are goin to enter this at the Guinness Book world of records for many people who danced thriller at the same time. All of us have dream travel destinations that we have in our list. I have always been dreaming to go to Bahamas, Hawaii and London would always be in it. I guess you have your own set of lists. Anyway, London which is the capital of England and the UK, would always be on top of any traveler whether for business and pleasure. This bustling city boasts of many tourist attractions like the popular Tower Bridge, House of the Parliament. London Tower, Buckingham Palace, and London Eye to name a few. There are many places to go to and I believe the vacation will be worthwhile, ooops not to forget The Big Ben. Hotels in London are very much available anywhere for easy accommodation. If you still have a budget and still want to splurge a bit you might want to visit some nearby places like in Manchester. Hotels in Manchester are faily cheap when you get it at CheaperthanHotels. Aside from that they also have specials and budget savings if you are also finding Hotels in Birmingham. ... Theaters, shows, events, football games, museums are just some places that will keep your vacation in London busy as ever. Finished 2 layouts last week and i was very happy with the results. My mojo is finally back and i am starting a new layout this week. I've got lots of photos to scrap so this will keep me busy for quite a while. My niece and her classmates during their farewell party.